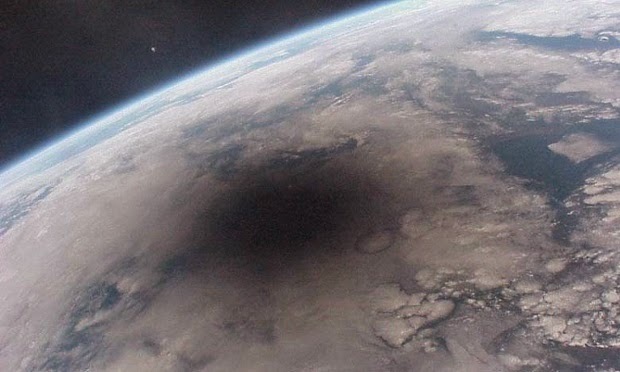 I love this photo of an eclipse of the sun as seen from a satellite. The fuzzy edges surprised me at first because, without thinking, I thought the umbra and penumbra would be sharply defined. And for the first time I have some real perspective on the size of the shadow.